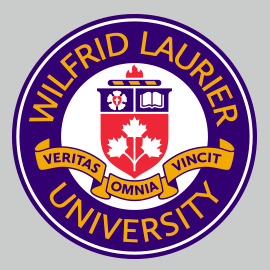 1.1 These guidelines apply to all Wilfrid Laurier University endowments unless specifically exempted by the Board of Governors or otherwise provided herein. 1.2 Endowments held by other organizations for the exclusive benefit of the University may not be subject to these guidelines. Specific reference must be made to the legal documents governing such endowments. 1.3 These guidelines supplement the Statement of Investment Policies and Procedures, relevant endowment agreement and policies applicable to an endowment, as listed in Section 2.8 below. To the extent of a conflict, the aforementioned documents supersede these guidelines. 2.1 Ownership and management of endowments rests with the University. 2.2 The intention of an endowment is to maintain the principle intact and use only the income or a portion thereof. 2.3 The assets of each individual endowment will be combined into an endowment pool for the purposes of investment unless otherwise decided by the University or agreed in writing with the donor. Administrative costs will be shared proportionately by all endowments in the pool. 2.4 Endowment funds will be invested and managed in accordance with their respective Board-approved Statements of Investment Policies and Procedures. 2.5 The University will only create an endowment where there is sufficient capital to provide funding for the purposes for which the endowment is to be established and to justify the administrative costs associated with an endowment. 2.6 The University will only create a named endowment where the requirements of Policy 13.5 Naming, including any standards or levels for the naming of the relevant asset, have been met. 2.7 Spending rates will be established annually by the Board of Governors on the recommendation of the VP: Finance and Operations and the VP: Development and Alumni Relations. Where possible, the University will endeavor to maintain the value of the endowment fund over time, while achieving year-to-year stability and predictability in spending rates. 2.8 The negotiation and approval of endowment agreements will comply with all relevant University policies, including Policy 5.7 Signing Authority, Policy 13.5 Naming, Policy 13.6 Gift Acceptance and Policy, 13.7 Policy on Ethical Fundraising Practices. Without limiting the generality of the foregoing, endowment agreements should follow the template approved by the University General Counsel or be reviewed and approved in accordance with Policy 5.7. Endowment agreements should provide for the maximum flexibility for the University to manage and use the endowed funds over time, while seeking to fulfill the underlying intention of the donor wherever possible.